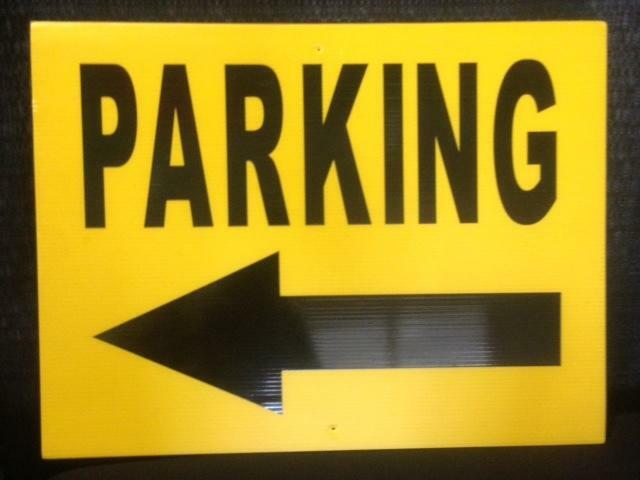 Yellow sign with Parking and arrow in Black. Available with arrow facing east or west. Thick Corrugagated plastic sign. 18" tall and 23" wide.